The relationship between England and Scotland had been amicable whilst Alexander 111 of Scotland ruled. His untimely death in 1286 and the death of his heir, Margaret, Maid of Norway in 1291, changed the relationship between the two countries. Edward 1, accepting that his dreams of dominance over Scotland through the marriage of his young son to Margaret were dashed, declared that he was Lord Paramount of Scotland and had the right to choose the successor to the throne from the thirteen claimants who now showed their hands. The Scots accepted Edward as arbitrator. The main claimants were John Balliol and Robert de Brus, grand-father of the Scottish king who was to become famous after his victory against the English at Bannockburn in 1314. Edward rightly chose Balliol following almost two years of deliberations at both Norham and Berwick on Tweed. In the interim he had demanded subservience from the Scottish Lords and, in the main, he achieved his aim. Balliol was, in effect, a puppet king forever subject to Edward’s dominance. Eventually he rebelled and formed a union with France, traditionally England’s arch enemy. Simultaneously he invaded northern England and laid waste the country, leaving its people destitute. In reprisal Edward invaded Berwick then in Scotland, and put all to the sword, it is said. 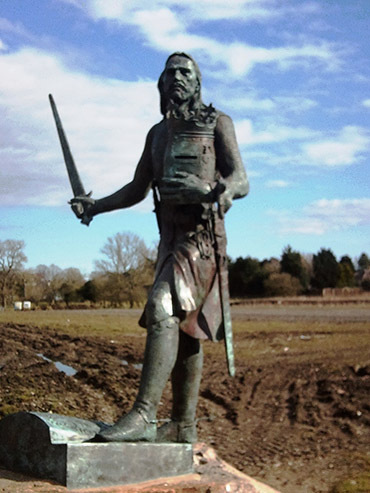 Thus 250 years of conflict between England and Scotland began with its highlights at the battles of Stirling Bridge (a William Wallace, (Braveheart) victory), Falkirk (a loss for Braveheart), Bannockburn, Flodden, Solway Moss and Pinkie. From 1297 to 1547 intermittent but savage warfare was the inheritance of the peoples of the English Scottish Border lands. Throughout this prolonged period it was the folk of the English Scottish Border lands who suffered from raids to the north and south of the Borderline, through death and loss of living. Even in lulls in the conflict they were subject to heavy demands for their crops and beasts by way of tribute to a more dominant neighbour, be it English or Scots. For more than a decade following the death of Edward 1 in 1307 and especially after the ignominious defeat of the English at Bannockburn, the people of Northumberland and Cumberland were given little protection. The Bruce invaded at will and exacted huge tributes in crop and beast to spare the lives of a people who lived on the breadline even without his interference. The son of the ‘Hammer of the Scots’, Edward 11 was weak and vacillating, more interested in his personal relationships which, to say the least were suspect, than coming to the aid of his northern people. The Bruce invaded at will and exacted huge tributes in crop and beast to spare the lives of a people who lived on the breadline even without his interference. To Reive is to Thieve! The Borderers, what was left of them became hard and obdurate people, inured to loss of life, family and livelihood. They began to fight back. They became the Border Reivers. To ‘reive’ is to thieve. The word has its origin in a much earlier time than the days of the Border Reivers and means to ‘rob’. True the Border Reivers were thieves and robbers on a grand scale. They robbed at will from both their own countrymen and on the other side of the Border. Initially dictated by dire necessity they soon found that it was a way of life from which there was no escape. Such a way of life inevitably led to confrontation, animosity and the lust for revenge. Death and feud were the result of the relentless surge to square the circle and exact a reckoning where an ‘eye for an eye, a tooth for a tooth’ was the only justice which satisfied the clamour for retribution. The Border Reivers held to the old ways, swore allegiance only to the clan or family, preferred to seek their own justice. Inevitably, not only did they have to answer to those from whom they had robbed but also the authority and law set in place by successive monarchs. 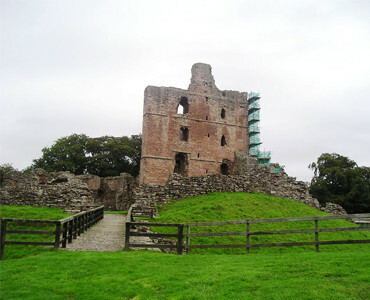 The Border Law, unique in that it subjected people from two different countries to the same justice, first formulated in 1222 and 1249 would witness many amendments down the years in an endeavour to bring the Border Reivers to heel. They would have little success.